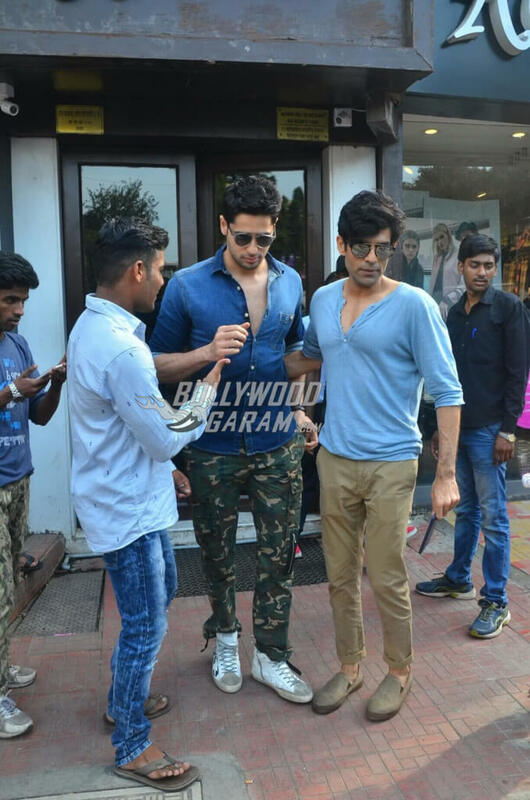 Bollywood actors are often snapped having a leisure weekend and it was Siddharth Malhotra’s time to let his hair down on Sunday, October 8, 2017 as he was spotted coming out of a popular restaurant in Bandra, Mumbai, looking dapper in a casual outfit. 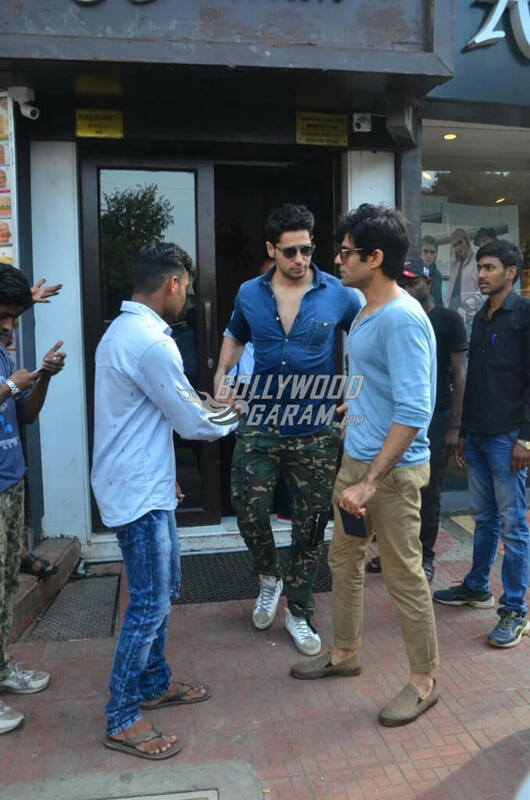 The A Gentleman actor was snapped wearing a blue shirt, military print pants and sneakers paired with cool glares. Some fans were seen eager to meet him and surrounded him right outside the Bastian eatery. 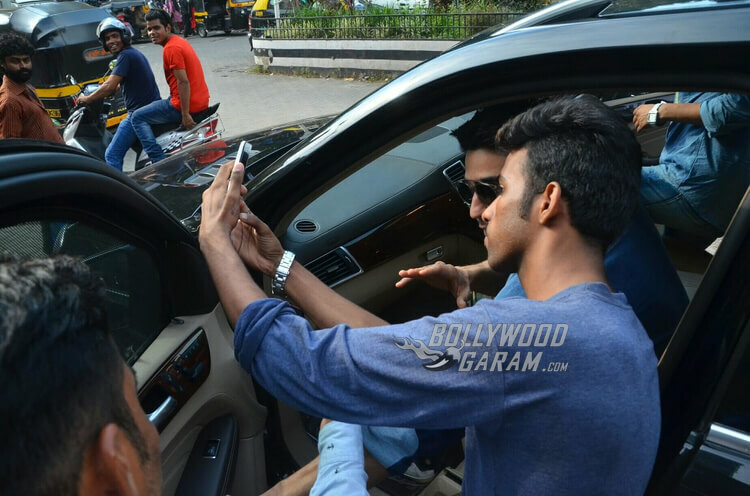 He was snapped getting inside his car as his fans rushed to take a selfie with him. On the work front, the Student of the Year actor is currently working on his upcoming thriller film, Ittefaq where he is paired with Sonakshi Sinha in the lead role. 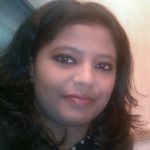 The film will be produced by Red Chillies Entertainment and Dharma Productions. An adaptation of 1969 release movie by the same name that was directed by Yash Chopra, Ittefaq in 2017 will see Abhay Chopra helming the film that will also star Akshaye Khanna as a cop on the silver screen. Akshaye will be seen on the silver screen after his last release, Dishoom where he played the villain alongside Varun Dhawan, John Abraham and Jacqueline Fernandez. 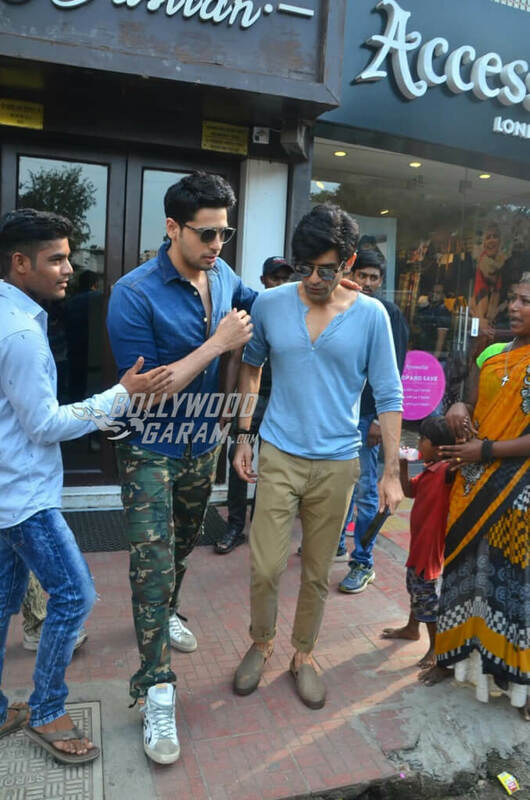 Meanwhile, Siddharth’s last Bollywood outing was in A Gentleman where he played the lead role with Jacqueline. 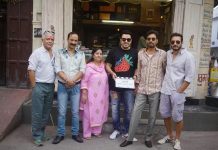 The film had a steady performance at the box office; the action-thriller opened at Rupees 3.75 crore and went on to earn Rupees 4.5 crore domestically on the weekends. However, the crime thriller Ittefaq is expected to have a much better response at the box office, given that the trailer of the film that was released on Thursday, October 5, 2017 was watched over 11 million times throughout the day as NDTV reports. It prompted Sonakshi to take to her Twitter account to thank her fans and followers for the unmatched response. While Ittefaq that went on floors early this year will hit the theatres on November 3, 2017, Siddharth will also be prepping up for another crime drama, Neeraj Pandey’s Aiyaary that is reportedly based on real-life incidents and will also star ace performers like Naseeruddin Shah and Manoj Bajpayee. 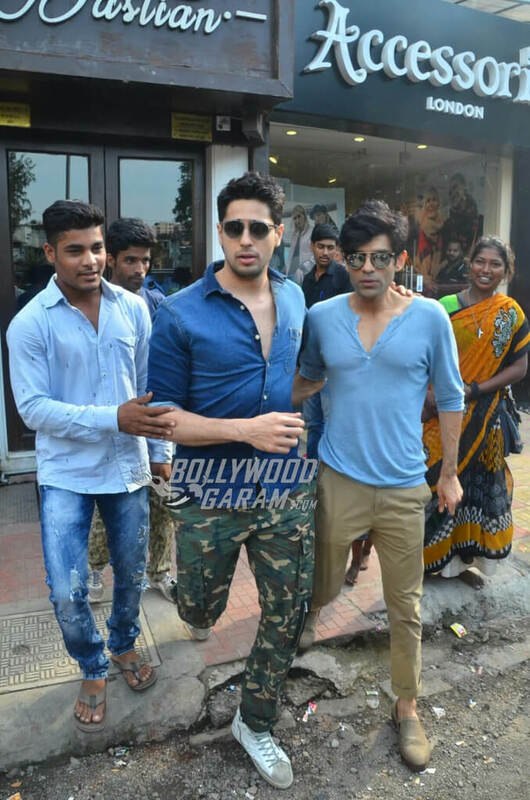 Exclusive photos of Siddharth Malhotra outside Bastian restaurant in Mumbai!